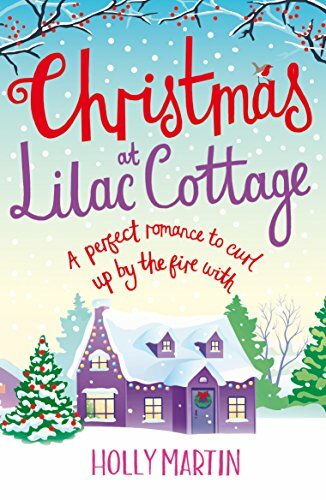 Christmas at Lilac Cottage has a lovely festive cover and it would definitely grab my attention if I saw it in a book shop, it oozes warmth and festive sparkle. But what about the book itself? This is a book which I found to be as warm inside as outside on the cover. It feels very traditional and I loved that. Quite a simple story in fact, no major plot twists but refreshingly in a not-boring kind of way! Penny is a lovely character, an admittedly lonely woman who has been avoiding relationships since she was badly hurt a few years back. 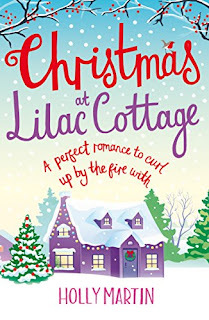 She works as an ice-carver and I loved this; so different, and so fitting with the festive feel to the novel. Her new tenant Henry is equally guarded about relationships. Having been a single dad since he was just a teenager, he is fiercely loyal and protective. But with instant chemistry between the pair, will they--and can they--fight this undeniable attraction? The chemistry between the pair is written so well. I loved the descriptions of the house, so vivid in my mind. I also loved the great characters in the community who were the essential combination of warm ones, as well as a few who were not so nice to Penny or who had their own agendas in terms of trying to make things difficult for this prospective couple. I saw flaws in the central characters too, particularly Henry, but I welcomed this; no one is perfect! It's not even a niggle to me, but the story is set over a short period of time. In a way I had to forget that to allow some elements of the story to be believable. Otherwise things just moved too fast, people too easily and quickly settled. So in my mind I had things taking place over a longer period of time. I also felt some parts of the story were too dialogue heavy, and this dialogue didn't always feel completely realistic (mainly in terms of the teenage character. I would perhaps have preferred more internal dialogue from the characters, but overall this didn't matter to me. If you're looking for a light read with no major twists, then this is a great book for you. I'd happily read more novels featuring these characters or members of this lovely community. Thanks to BonnierZaffre for the book in exchange for an honest review. This is a pretty cover. The book sounds really good too.